For tropical Queensland dwellers, the novelty of hitting Canberra in the cold seemed like a good idea. We didn’t bank on the cold snap that coincided with our weekend escape. Below freezing conditions didn’t stop us from exploring our Nation’s capital and we discovered Canberra has stepped it up with loads of things to do. 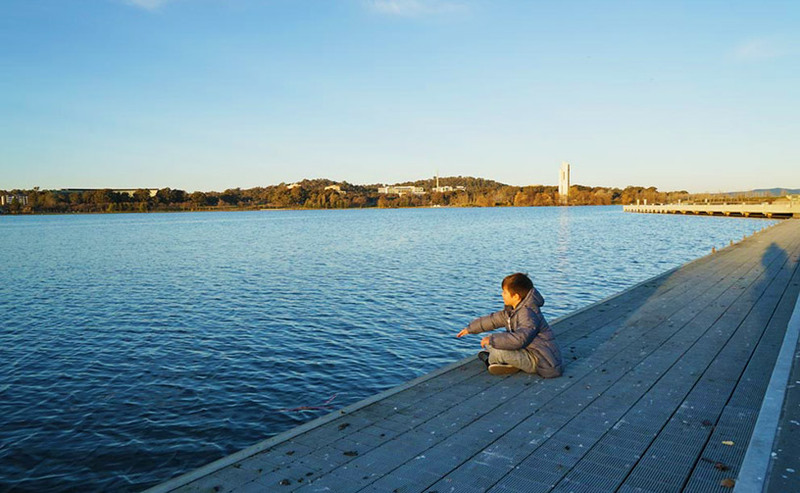 Here are the best things to do in Canberra with kids, as told by Together We Roam. Looking out at Lake Burley Griffin. 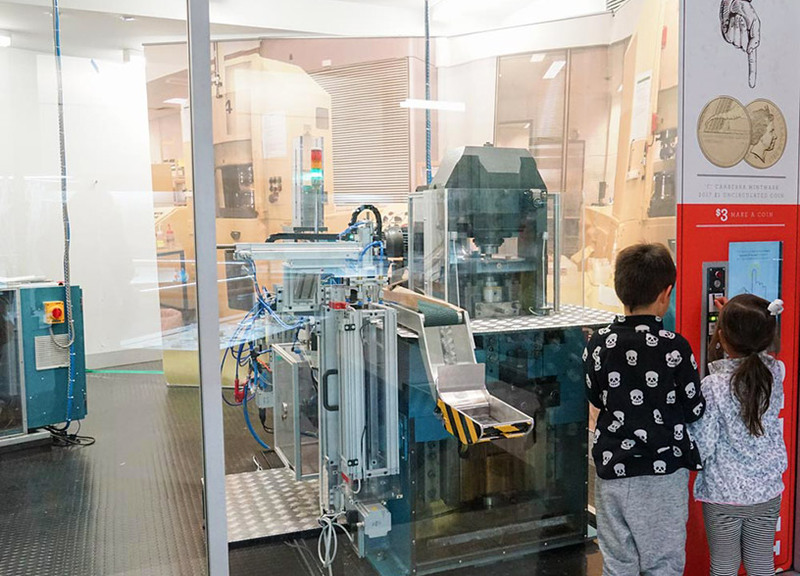 The multi-level interactive kids centre at Questacon is choc-a-block with science exhibits and gaggles of happy kids darting from one exhibit to the next. Ours were so engrossed in the activities they had almost forgotten they were learning. We challenged a robot to a game of air hockey - the robot won easily. There were space ship simulators to fly, paper airplanes to race, an earthquake machine to ride and exploding experiments to watch. For the younger kids, there’s a captivating play area where kids can pretend they are bakers, bankers, mechanics or a vet. 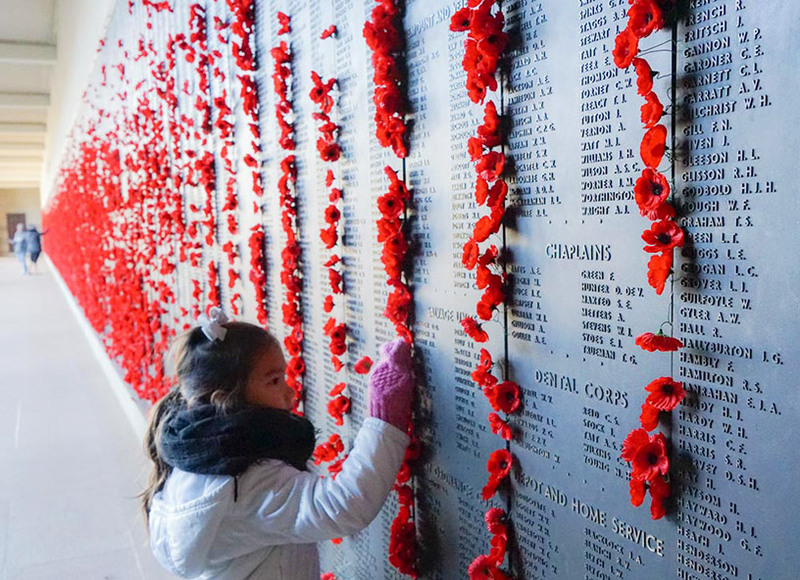 The topic of war may seem overwhelming for kids, however we found the impressive exhibits, the mix of the outdoor memorial and museum at the Australian War Memorial worked incredibly well with our young kids. Paying our respects at the Australian War Memorial. For an incomprehensible subject, it’s amazing to see kids quickly grasp the concept of war and understand the sacrifices made by of our gallant men and women. Our five and seven year old were hanging off our knowledgeable guide’s war stories as we stopped at impressive exhibits including a stuffed warhorse, huge overhanging planes and gallery of war medals. 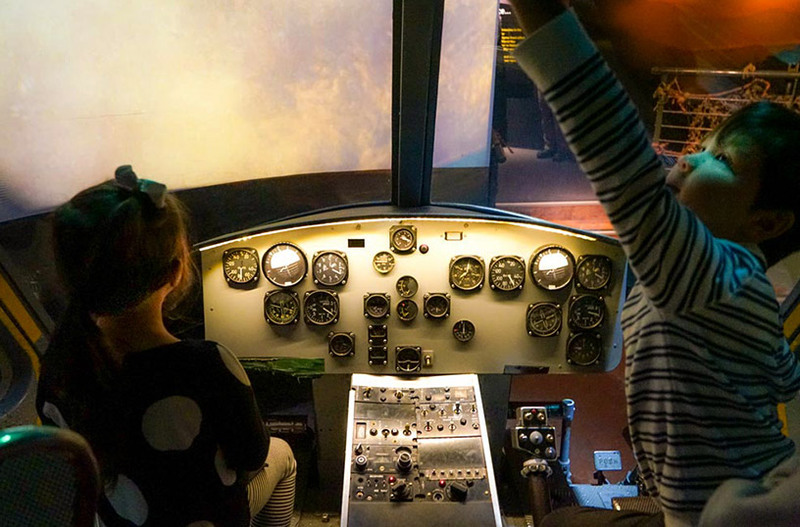 The tour ends at The Open Discovery Zone, which lightens the heavy subject matter, where kids can fly a chopper or explore a WWI bunker. Appreciating the interactive experience at the War Memorial. It’s not all-indoor fun in Canberra! The recently opened National Arboretum offers 250 hectares of open space perfect for kids to exert some energy between museums. Trails criss-cross the sprawling forests, home to 44,000 species of plants and, inviting families for a walk or kids a tumble down its huge amphitheatre. 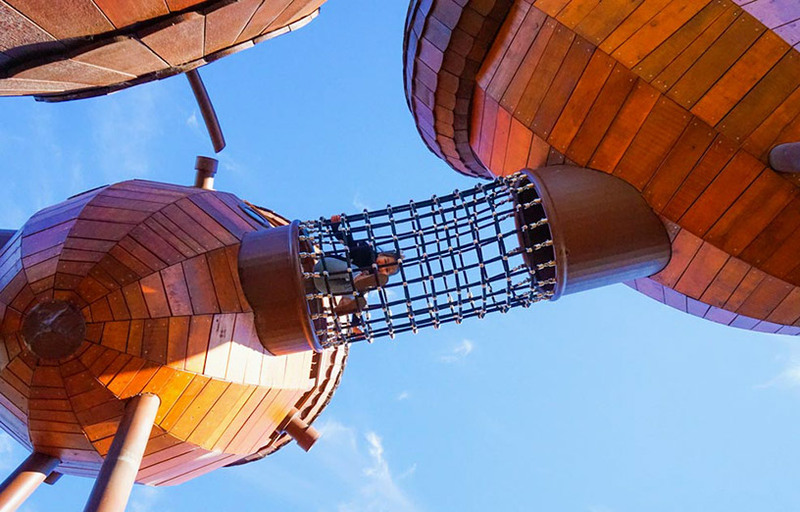 The pod playground is reminiscent of a Disney movie. We joined what seemed like every kid in Canberra at the Pod Playground with a giant acorn wooden cubby. 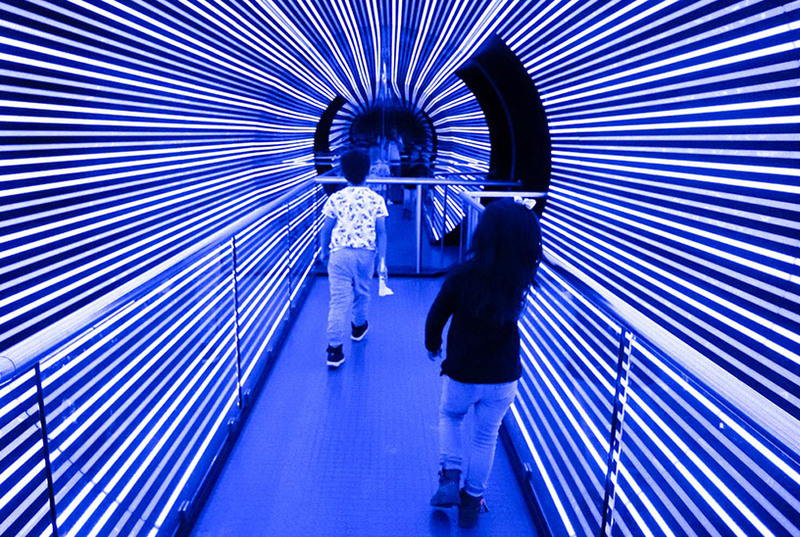 Our kids clambered up the Instagram worthy structure, zipped down its twisty slides and played with its charming musical instruments. For toddlers, there are a series of giant banksia cones to play in and run around. Junior animal lovers will adore the intimate exhibits at the National Zoo - what the zoo lacks in size it certainly makes up for it in the unique collection including red pandas, white rhinos, gibbons, Sumatran tigers, giraffes and zebras. Checking out the animals at the National Zoo. 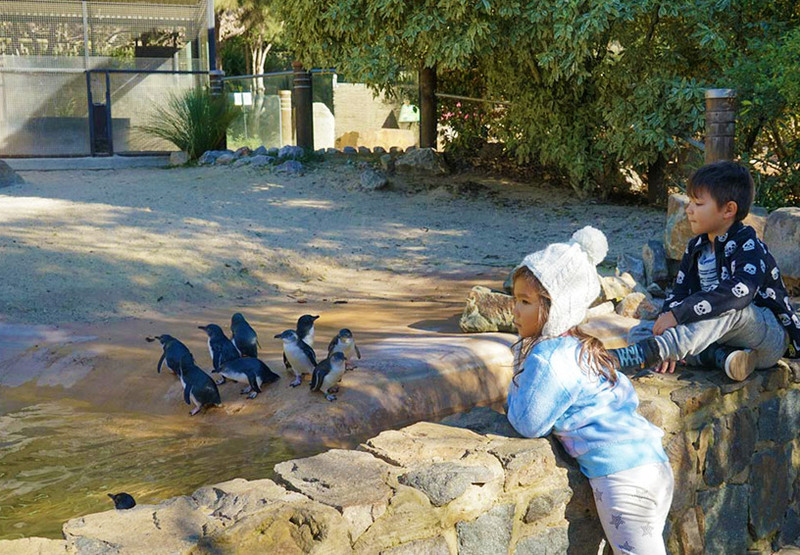 The close encounter with the fairy penguins was our children’s favourite. The adorable tuxedo clad flightless birds would zip out of the water to shake their tail-feather at us. Other noteworthy habitats include the aquarium, filled with a huge selection of Australian marine life including lots of active platypus, as well as the reptile pavilion. We visited near closing time and the snakes were unnervingly active rather than tucked away under rocks. We popped into the Royal Mint to show how our kids’ pocket money is made. We were greeted with a massive transparent case of shiny gold coins and explored the coin making process from design to packaging. Seeing how pocket money is made. A viewing platform overlooks the working mint where dozens of robots, including Titan, give a robotic wave and can process up to two million coins for circulation each day. In the lobby, for $3 kids can mint their own legal commemorative $1 coin, complete with a sleeve for safekeeping. The food scene in Canberra has stepped up a notch, from fine dining to cheap hipster eats - there is loads on offer. The buzzing Asian Fusion Akiba restaurant offers relaxed family friendly vibes and delish pork belly baos. We headed to Braddon, the home of Canberra’s emerging food scene, with trendy casual eats including newly opened Ramentic for authentic warm bowls of Ramen. At Grease Monkeys, a former mechanic workshop, we tucked into buffalo wings, scrummy burgers and a craft brew. There’s also the iconic Lonsdale Street Roasters, one of Canberra’s best coffee spots and a popular place for brunch. Treating ourselves to these delicious eclairs. There is a diverse multicultural food scene in Canberra! Some of the best are found at the Old Bust Depot with spicy Ethiopian curries, gourmet French baguettes, Northern Thai Noodles, Tibetan dumplings and a signature Jordanian beef and tomato stew called galayet. 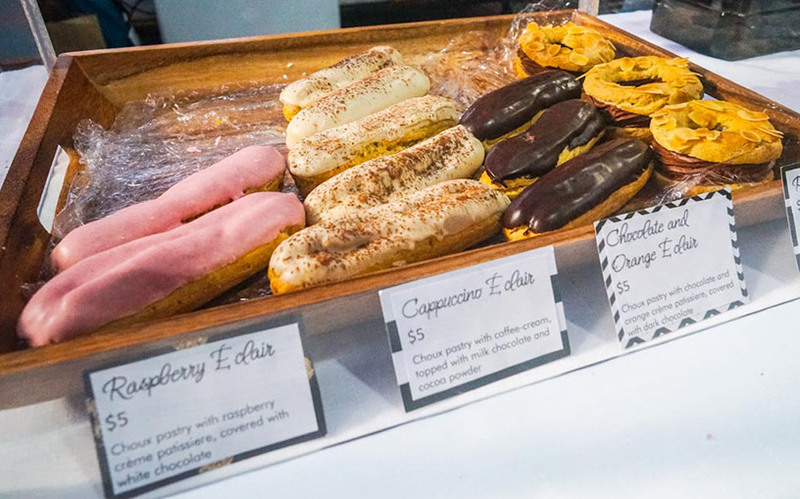 After lunch, kids can peruse the stalls for handmade toys, arts, crafts, and indulgent éclairs and other sweet treats. Canberra is a great place to take the family! The kids will be entertained for hours, as will the adults. Make sure you visit our Nation's capital at least once in your life - but it's the kind of place that'll have you coming back, again and again,. The 'Together We Roam' family! 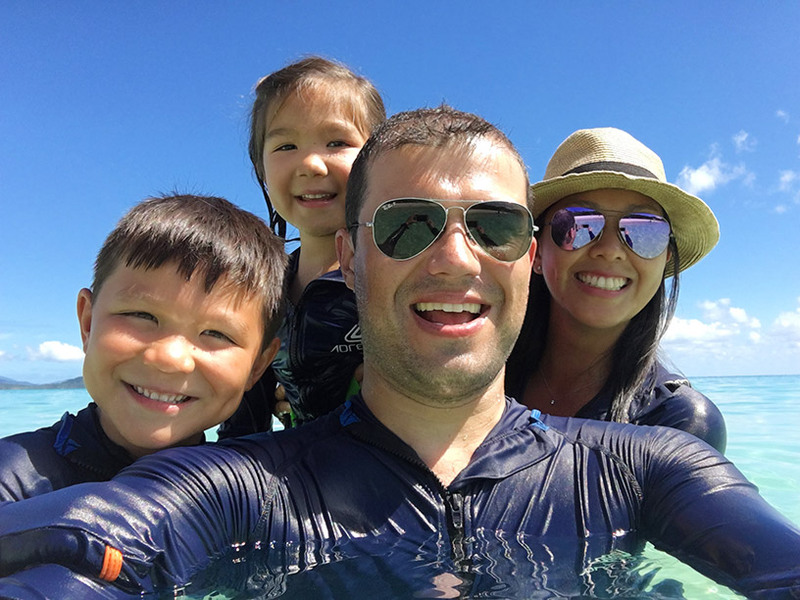 Words and images are by Rene Young, an award-winning family travel blogger and freelance travel writer. She’s happiest with a camera in hand, exploring her home state of Queensland or better still, trailing after her kids aged five and eight, bound for new destinations. Read more of her family travels at Together We Roam.